• Watch VH1 shows from your favorite Android device. Just sign in with your TV provider to watch recent episodes from select VH1 series anytime and anywhere. Access is included with your TV subscription to participating providers. If your provider isn’t listed, don’t panic. We are working hard to get all TV providers to participate. 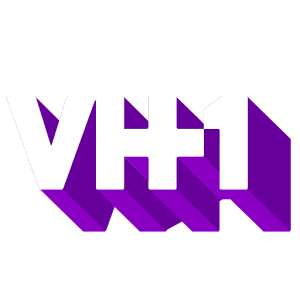 • You won’t need to sign in to watch tons of other great video from VH1 shows, including sneak peeks, after shows, bonus clips and exclusive, original content from your favorite VH1 series including Love & Hip Hop Atlanta, T.I. & Tiny: The Family Hustle, Basketball Wives, Hollywood Exes, Black Ink Crew, Couples Therapy, La La’s Full Court Life and more! • Get all the additional video VH1 creates in one place – the latest in pop culture news and info from VH1 News, fashion from VH1 Celebrity, musician interviews from VH1 Tuner, supercuts and mash-ups from the VH1 Blog + much more! • Follow coverage of the You Oughta Know In Concert, VH1 Divas, summer music festivals and more. • Enjoy an enhanced viewing companion experience designed specifically to use while you’re watching your favorite VH1 primetime series during each weeks’ premiere episode! • Get photos, take polls and quizzes, read behind-the-scenes facts, get insider info, discover the songs from VH1 shows and more.